Sitting on a shelf of DVDs, or lost in a list of downloads, movie's are completely stripped of the advertising campaigns that launched them, no matter how massive the original hoopla. This King Kong was one of the biggest films of the year, with pages of newspaper and magazine coverage heralding its arrival. An early 'event movie', hoping to follow up on the Jaws phenomenon of the previous year, combining an animal-on-the-rampage with a disaster movie. This 1976 retelling is widely regarded as inferior to the 1933 original, and its special effects and lack of ambition pale against Peter Jackson’s 2005 remake. 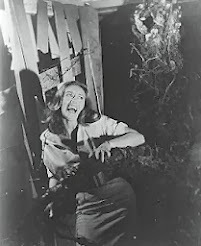 But, as noted here on the Classic Horror Forum, it was nevertheless an influence on Jackson's version. I have a soft spot for this very seventies blockbuster, not that I don't regard Kongs 1933 and 2005 more highly, but I’ll also watch this one just as often. Flashing back to the 1970's, I had yet to see the original 1930s King Kong. In magazines like Famous Monsters of Filmland it looked like the best monster movie ever, full of dinosaurs and city-stomping. I was fascinated by dinosaurs and stop-motion animation, watching every Ray Harryhausen movie that I could. 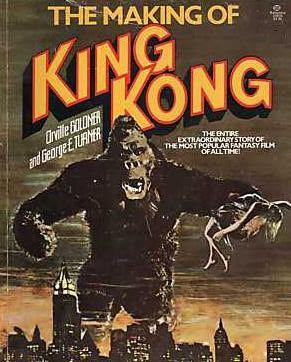 Ray had trained with King Kong’s special effects creator Willis O’Brien, and his movies forwarded the spirit of Kong’s adventure. But I must have missed it on TV in the UK (until the early 1980s), and home video didn't exist yet. So the closest I could get was a comic book version of the story, a novelisation, and reading through the well-illustrated book, 'The Making of King Kong' by Orville Goldner and George E. Turner. 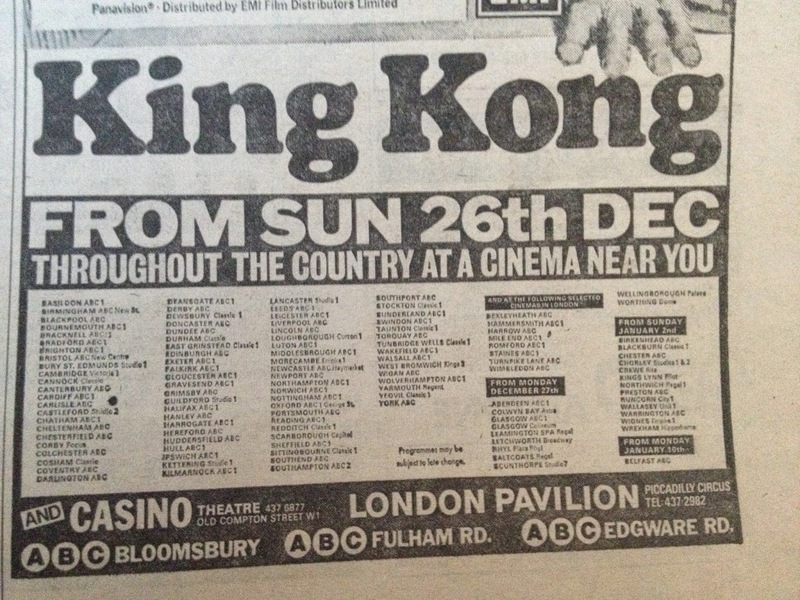 That's why the first Kong I got to see was the Dino De Laurentiis’ remake in 1977, when it reached the UK. The publicity was huge, concentrating on the full-scale Kong 'robot' that had been built, designed by Carlo Rambaldi (halfway between doing gory effects on Italian horror movies, and building E.T. for Spielberg). The wall-to-wall robot stories even made critics and audiences believe that the it performed the whole film! The publicity toned down the involvement of young FX make-up specialist Rick Baker, who worked with Rambaldi on the cable-controlled (an early version of animatronics) mask for the ape suit that Baker wore. He performed the bulk of Kong's shots throughout the film. In later films, he went on to perfect his 'ape suits' to uncanny effect, like in Gorillas in the Mist, as well as designing the shocking transformation FX in American Werewolf in London, The Thing and more recently Hellboy, among many other classic creations. 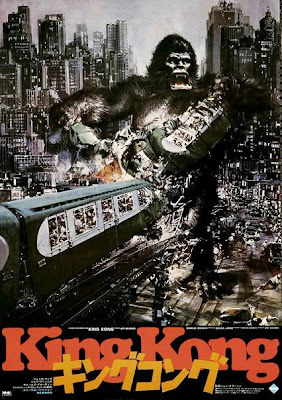 Storywise, King Kong '76 improves on rival versions with a story that launches straight away with the ship heading off for Skull Island, this time in search of oil, a rare and expensive commodity in that inflation-ridden decade. Hippyish animal-lover Jack Prescott (Jeff Bridges looking like a younger version of The Dude from The Big Lebowski) stows away onboard, forewarned that a big ape may also be on the island. Along the way, they rescue shipwrecked, scantily-clad Dwan, (Jessica Lange in her first screen role). All the action is handsomely mounted, using real oil tankers and ships, and a bewilderingly large full-scale fogbank that hangs around the island. A spectacular Hawaiian location is used for the beach landing, and then the explorers encounter the immense wall that divides the island. That's in fact a gigantic full-scale outdoor ‘set’ - there’s no doubting there’s a lot of money on the screen and it’s looking good, until Kong turns up. As Dwan gets kidnapped and given to Kong. I realised that Kong wasn’t a giant robot at all, but a man in a suit composited into the live-action using the variable blue-screen optical process, which rarely blends all the elements together. All was not lost, but such an uncomplicated effect wasn't convincing. What saves this depiction of Kong are the close-ups of his face. Seeing Baker's real eyes behind the mask brings this Kong very much to life. And the amount of expressiveness in the mask is still very impressive. The actual robot is only glimpsed head to foot in a couple of scenes, where it is almost completely static. But closer scenes successfully use the full-scale foot and hand, much like Jurassic Park, and it’s full-scale T Rex hydraulics. A huge gorilla arm and hand swinging through a set are perfectly convincing. No CGI, no dodgy compositing, just large-scale engineering and stuntwork. Hollywood’s last resort in special effects is to use a man in a suit, and they haven’t put the years of expertise that the Japanese had built up. There’s simply not enough detail in the modelwork in the Kong suit scenes. While contemporary critics would scoff at the Godzilla films, the producers could have learned a lot from the expert use of slow-motion to increase the scale, low-angle camerawork could also have helped sell the idea of suited Kong. The central action scenes, such as the log bridge and Kong’s lair are both disappointingly fakey-looking sets. Compared to the expense of building the gigantic wall, why did they skimp on the ape scenes? To the credit of the cast, they try and play it straight, Jeff Bridges certainly doing his best. Jessica Lange seemed a little phased thoughout, or was that her character? Back then, she convinced me that she was a bubble-headed blonde and I’d never see her act in anything ever again. Of course, she went on to garner far better parts, wide acclaim and two Oscars! Charles Grodin (Midnight Run) is believable as the nasty expedition leader, with the always watchable Rene Auberjonois (Deep Space Nine, Boston Legal) as his assistant. There’s a chance to hear Jack O'Halloran’s rich voice – for Superman 2 he played Non, the mute super-criminal sidekick to General Zod. Rather riskily, John Agar appears in a bit part as the Mayor - casting the star of so many low-budget, frankly terrible monster movies surely begs us to draw comparisons, though here the budget is clearly higher than The Brain of Planet Arous. The climax is both sad and surreal. The twin towers of the then recently erected World Trade Centre remind Kong of his mountain lair. As he climbs up it, and the Army congregates in the plaza. It’s hard to concentrate on the action without reflecting how dramatically the location has changed. Manhattan was used extensively for many movies during the 1970s, and the WTC was one of the city’s most identifiable and spectacular settings. By the time Peter Jackson's film was released, the Empire State Building was once again the tallest building in the city. Throughout the film, some special effects work, some don’t. But it tells the story, and the large scale of the film still entertains. It’s sort of dated, seventies wise, but this adds to the fun. Though I’m now very aware that this version lacks a huge dollop of what the 1933 and 2005 movies have - style. Thirties fashion, architecture and design make the setting classy and atmospheric. It’s largely a retelling of the original story, but the filmmakers have trouble keeping a straight face in making a monster movie, particularly when it comes to the dialogue. Scriptwriter Lorenzo Semple Jr, midway between the tongue-in-cheek 1966 TV Batman, and the 1980 comedy Flash Gordon, adds too many in-jokes, defusing the drama. John Barry’s soundtrack, one of my favourites of his, takes the entire film up several notches, in atmosphere and anticipation. If only the visuals matched the grandeur of his music. Listening to the score, which has a few choice sound effects mixed in, always encourages me to imagine a better film. 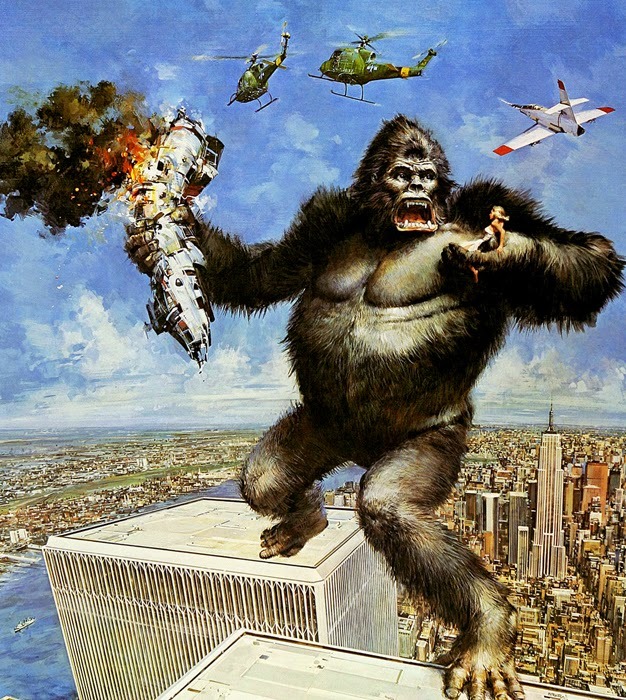 King Kong '76 isn't perfect. I've pointed out most of the huge shaggy flaws. It's not the epic it aspired to be, but is still enjoyable for the cast, the scale and the locations. And compared to the 1986 sequel, King Kong Lives, also directed by John Guillerman (The Towering Inferno), it looks like a classic. Oodles more Kong here, on KongisKing.net! Thank you! It was a good read! As always. I personally don't think that the 1976 king kong was a ruin. Coz I think that the 1976 version is way better. Jackson didn't exactly make the 2005 version turn out right. John Guillerman brought something new to the screen, something almost like a message of mans greedeness, of oil and 'prehistoric' apes. Still, the 1976 kong movie is way better, no matter the special effects!! hey, I'm only 12, gimme a break... Still, ALL HAIL THE 1976 KONG!!! Pleased to see that my favourite older films are getting appreciated by younger fans! Has anyone that complains about this film ever actually seen it?? This movie is great! The PJ remake is a cartoon, whereas this is as realistic as you can come to having an actual giant gorilla in a film. Sure there are scenes where kong is a guy in a suit. But it works! How can anyone complain about it?? It's much better than a jerky animation model, and way more realistic than a CGI cartoon character. Quit your complaining and actually watch the film on a large screen and give it a chance. it's the best of the Kong films, and probably always will be. Micheal, I'm not complaining about KONG '76. I'm trying to see past my 70s nostalgia for it, and imagine what a new audience will get from it. If you read the article, I did see It on a big screen, when it was originally released. My criticisms are largely how I originally felt back then. But the film remains entertaining and I revisit it as much as the other versions. When the subject arises, I'm usually the one defending it. I have loved the '76 version since seeing it brand new in theaters back during the Christmas of 1976. I admire the fact Dino tried to update the story rather than just follow lead from the original. I also see the great wisdom in staying away from stop motion dinos that were prevalent on Saturday morning TV shows like 'Land of the Lost'. If you think the effects used are dated, imagine how badly they would have looked in stop motion? Have you seen the '33 Kong in color? Pretty bad there too. So I think wiser heads prevailed and a new technology was examined. I also think the "monkey suit" description is a bit exaggerated. Planet of the apes used monkey suits and no one cries foul there. They even had the cup mouths which look laughable compared to Baker's well designed Kong mask. So yeah, what they were doing at that time was ground breaking. But it shouldn't be explained away as being a simple "suit". Star Wars Chewbacca is in more "suit" than Kong ever was. Who's crying about that one? I just find it fascinating how people want to rant about the effects on this film, yet overlook every mindless imperfection in the original. All effects films become dated over time. '33 Kong looks like Rudolph the Red Nose Reindeer now. So let's be grounded in our perspective of what WAS versus what IS. Kong '76 certainly has always had a strong following since it's release. I don't see that same kind of passion for the Jackson film. And it had much better effects than these first two. So clearly the overall film has to be examined besides poking at just one aspect of it's production. Clearly this film got something very RIGHT about it. I believe what it got right was a very fundamental understanding that this is an absurd story. It didn't mind winking in places, as it should. But neither did it forsake the dramatic elements which it played to so much better than the original. I don't think there is anything to covet about the conceptual King Kong story outside of how it's telling is executed. Production wise, each retelling is always much better than the previous efforts with regards to effects. So ultimately you just have to decide which block of cheese you like to sample the most and move on from there. The movie certainly worked for me back then. Though the lack of dinosaurs was a disappointment, and the snake is pretty poor. The suit is fantastic, but the modelwork and some of the miniature sets he's standing in aren't nearly as carefully put together. I think folks from our era who could watch this film new in the theater are quick to forget what the movie going experience was like back then. Audiences were not wise to the special effects of Hollywood. 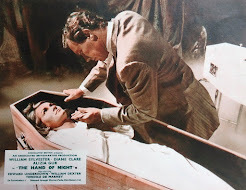 For those of us who pursued the subject, we found the majority of that topic in Famous Monsters of Filmland or similar titles. There were no internet sites or cable channels to watch endless movies. We didn't even have video stores or VHS movies to pick up at our local stores. In those days we were still examining how Karloff wore the Frankenstein makeup. Heck, we didn't even know what KISS looked like without their makeup! So the magazine was king. Subsequently the written page could be a very visceral experience if you were a kid with a good imagination. That's why I always scratch my head when people reflect back on this film and suggest it was a poor special effects movie for it's day. Really? What were they smoking? I hadn't seen anything like that when it came out. There was a good reason too. No one had used effects like that yet. Star Wars wasn't even conceived yet, nor did Kenner know they were going to be making toys about it for the next four decades. Speaking of which, had Lucas never cleaned up his Star Wars films, they would look horribly dated today as well. I'm sure some of us have the originals on VHS where you can see the effects mapping as the tie-fighters fly by. People gripe about Lucas cleaning up his films, but his wisdom is well founded. He wants people to remain impressed with what they THOUGHT they saw in the 70's versus the reality of what it actually was. The only way to do that is to keep the effects fresh for each new generation. And that is what he does. Kong does not get to enjoy that update. He is still working from those same effects AND a substandard transfer to VHS which is what most people "remember" as the theatrical experience, which it was not. At least the Blu ray version is greatly improved. You don't see nearly as much blue screen seperation on that copy. So we now have soemthing that approaches aspects of the theatrical version. But at the end of the day, I think Kong '76 will remain a film caught in the middle of a debate that is mostly unfounded. Critics pick at the effects because they have become spoiled over time by the advancement of modern optical effects, while confusing a VHS experience as a theatrical experience for films decades old. Kong '76 was fresh and exciting for it's day and remains a classic story for this viewer who could only see photographs of the King until opening day back in 1976. It was a joyous occassion and one which I still covet warmly. Everytime I put this film in, I remember how big and new it was. And what a blockbuster it became. I can still feel it to this day. It was an event movie, between JAWS and STAR WARS and it lived up to it. Certainly helped seeing it on a big screen and seeing it before the original. The original STAR WARS FX will still impress in context, and considering it launched ILM, should still be on display as part of movie history. The 'mapping' you talk about shouldn't be visible after a careful picture 'grade' - a tweak of the brightness and contrast levels of each shot, part of the regular remastering process. 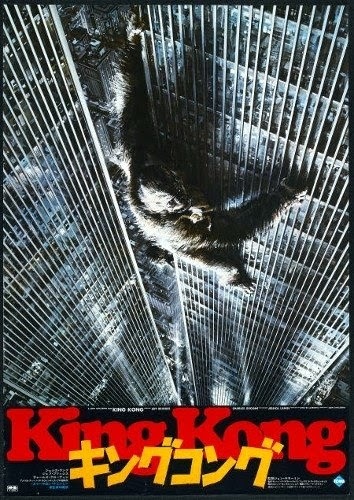 I'd just like to add that I too am a big fan of the 1976 version of 'King Kong'. Peter Jackson's version bored me silly. Do you really need over three hours to tell a two hour story? 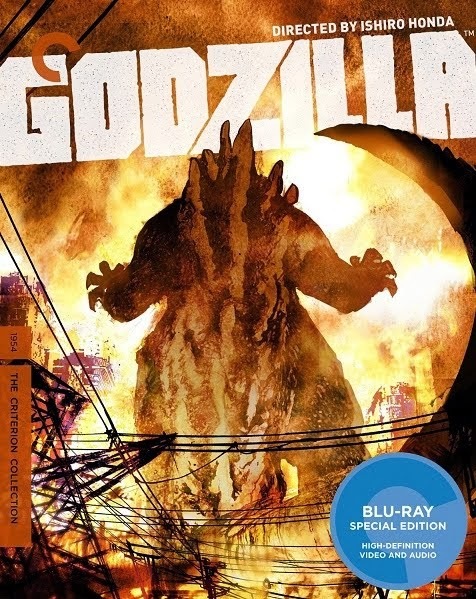 Anyway, I'm glad that this has gotten the Blu-Ray treatment and will be happy to pick it up sometime in the future. I already have the DVD and have viewed the film quite a few times already, so it'll be well worth the money. Where can the extra scenes be located? I remember jack prescott(jeff bridges) stabbing kongs hand with a knife, charles grodens hat showing after the foot smashing incident, and dwan(lange) being peeked at in the shower by a couple of sailor's, in the 3 hour version. this version just disappeared after it aired...i don't get it, but have been on a mission to find it for quite a while. (w/no luck) anyway, this 76 version is the real deal to me, I was 5 years old back then and saw it in the theater. Btw, where the heck is the longer version of it? The 3 Hour version seemed to have disappeared shortly after it's original airing. I remember the lost scenes from this version (jack knife's Kong hand/Extended foot smashing scene with Grodin, and the shower scene, in which Jessica lange is being peaked at by a couple of sailor's. I'd like to find the extended version because I simply love the movie. I saw the 76 version in theater's back in the Christmas of 76. I was 5 years old then. Still a big fan! You mention Rick Baker, and I thought you might be interested to know that there were actually two 'guys in the ape suit', the other being Will Shephard, who has written a book about his experiences on set. It's called Inside King Kong - and it also contains lots of behind-the-scenes photos. The paperback is UK only, but the ebook version is available worldwide.